Brrr, it’s cold out today! In a loving nod to the cold, and in order to make it seem more fun and less freezing, today’s storytime theme was penguins. 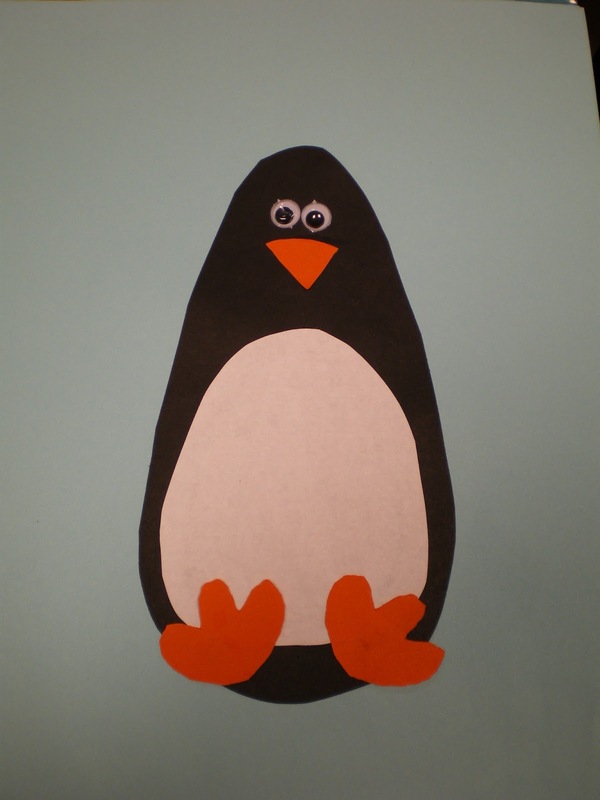 We read penguin books, danced the penguin hokey-pokey (some of us more than others), and made a lovely penguin craft involving both glue sticks and googly eyes (because everything is better with googly eyes). The girls were having a lot of fun designing their own patterns, and they all turned out great! Better than mine, if truth be told. They’ve asked that next time we meet, we do the same jewelry we’ve done before, so the people who couldn’t come to other meetings get to learn everything. That works for me! We’ll be making beaded bracelets, recycled paper beads, and duct tape bracelets. Speaking of upcoming programs, this Saturday is Doctor Who Day, and I’m getting all geared up for it. We’re planning to watch several episodes of the tv show while enjoying some Cyberman cake and some popcorn. There will be a trivia contest at 2 p.m. for bragging rights and a chance to win a special piece of Whovian swag. 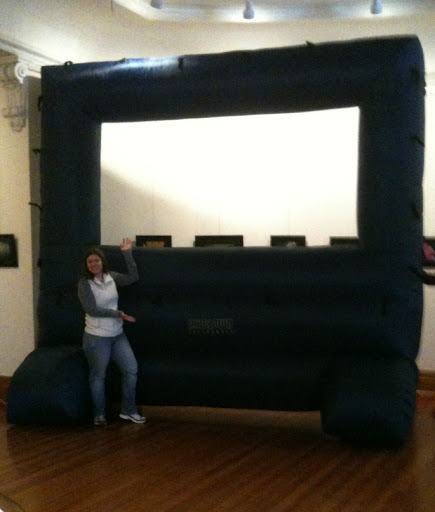 Come hang out with fellow fans and get your picture taken with the library’s very own TARDIS! It is optional but encouraged to come dressed from your favorite time period or as your favorite character. I’m not sure that anybody will come dressed up, but you never know! You don’t have to register for this – just stop on by. Next week’s Tech Talk will feature guest speaker Cheryl Hayden, who will be talking about how to use MuseScore, a Free and Open Source Software that works on Linux, Windows, and Mac, which is used for composing, scoring and notating music. This event will be held on Thursday, January 31, at 6:30 p.m.
February is Love Your Library Month! Food For Fines Week will be running from 2/12 through 2/16: bring in non-perishable food items and have your fines waived! Stop by for details about this program. We will have Valentine Cookie Decorating for grades K-4 on Saturday, 2/2, and for grades 5-12 on Thursday, 2/14! You need to register for these programs, so please sign up on our website and reserve your space today! The Movie Saturday on 2/9 is the newly-on-DVD Tim Burton film about a boy who brings his dog back to life, just in time for the science fair! We will also be watching a movie during the day on Thursday, 2/21, which is in the middle of school vacation week: that one features classic horror movie monsters and the posh resort where they go for vacation! Miss Shannon has been working hard planning her Candy Land Tea Party, which will be held on Saturday, February 16. Kids 5 and older are welcome to join us for stories, games, crafts, and (of course) candy! You need to register for this program as well;please sign up on our website if you’d like to attend! For details about these and all our other great programs, please stop by or take a peek at our Event Calendar! Lucky the Dog is wearing: Gryffindor scarf and warm hat. It’s quite the exciting week at the library! We’ve been anticipating an upcoming program, and we got a cool new toy! 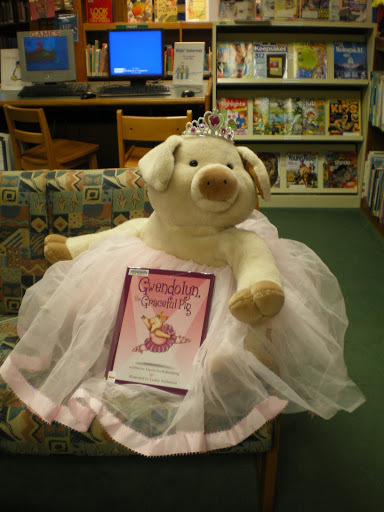 First, the program: Author David Rottenberg will be coming to visit us on Saturday, March 16, to read his book, Gwendolyn the Graceful Pig. The story features Gwendolyn, who desperately wants to be a ballerina, and her friend Omar, who very badly wants to play football. It’s too bad they’re both pigs! Will they ever make their dreams come true? 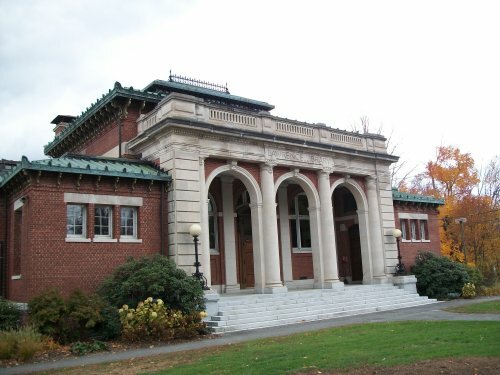 Mr. Rottenberg will be bringing dancers from the Harvard Academy of Dance to perform the story for us, too! We’re excited already! If that wasn’t enough excitement, we also received a package today that will change our lives! (At least, it’ll make them a bit more fun.) Behold – the newest library acquisition! I don’t know about anyone else, but I’m wicked excited about both of these things. It’s a good day to be a librarian. Lucky the Dog is wearing: Gryffindor scarf and warm hat. It’s cold out! This photo was not taken today, as it’s currently melty-snow weather. The library is a great place to be. We have books, naturally, as well as audio books and playaways (books on self-contained MP3 players). We also have music CDs, magazines, and DVDs available to check out; as well as newspapers, board games, and computers to use in-house; and toys in the children’s room for the little ones. We also have live music once a month, an art gallery full of beautiful works of art by local artists, and a collection of local birds. There are often events going on – check our Event Calendar for details!